Father Christmas, unicorns, working indicators on BMWs and single-lap marathons in Pretoria. Before 2018 none of these existed – three still don’t. 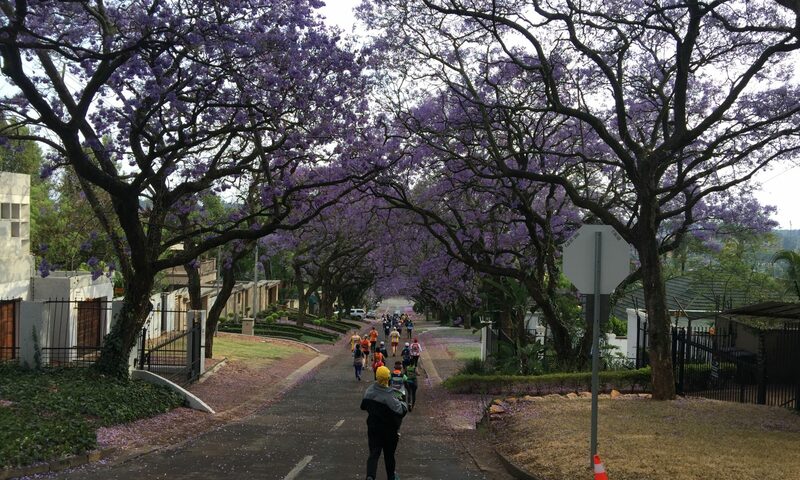 Once a year Pretoria turns purple as 65,000 Jacaranda trees go into bloom and herald the start of summer. The impact of the trees on South Africa’s capital city is immense. They’ve resulted in Pretoria being nicknamed “Jacaranda City” and prominent purple branding adorns everything from the regional Tshwane municipality to the local radio station (which is of course called Jacaranda FM). 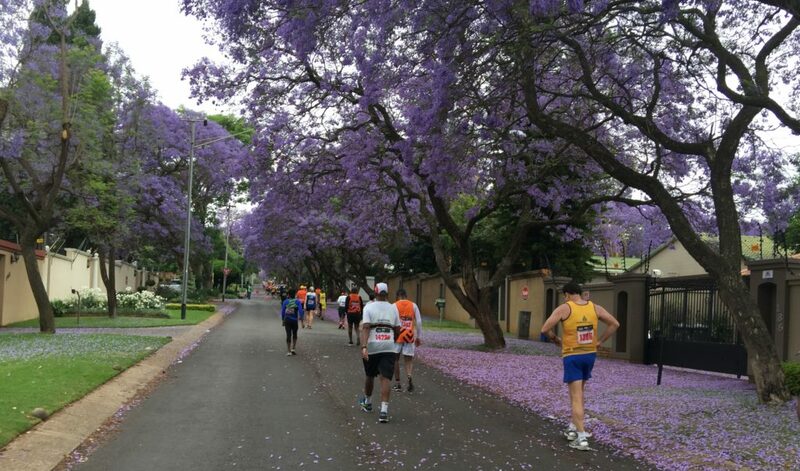 The Jacaranda City Challenge is perfectly timed to capture the trees in full bloom. 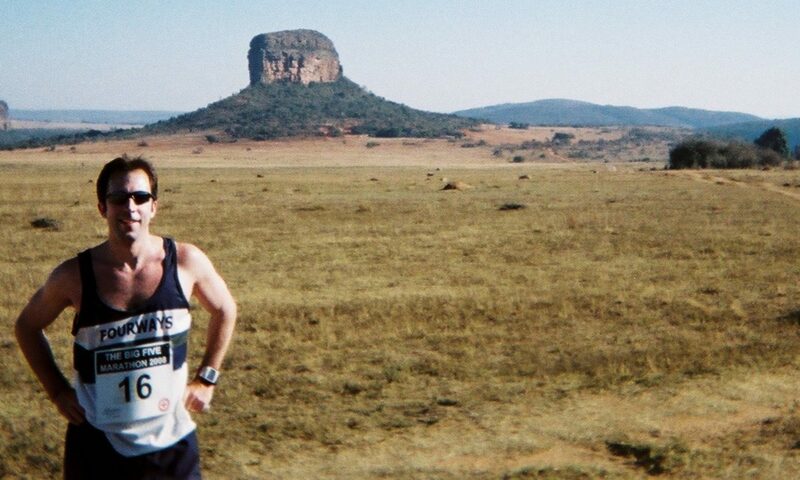 Prince sang about Purple Rain – but if you really want to see the phenomenon in real life you should run the Jacaranda City Marathon. 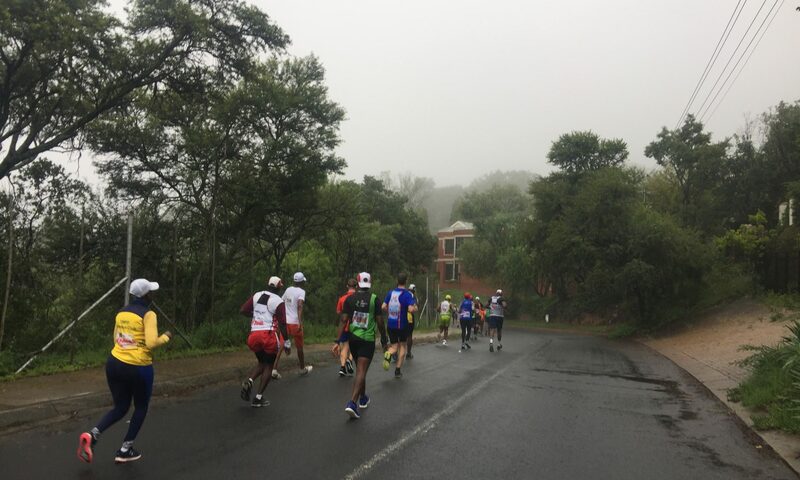 Running a marathon under a constant florid canopy is quite an experience. This year an overnight thunderstorm meant that we were also treated to a luxurious carpet of petals, whilst every gust of wind brought more purple blossoms raining down.